The REV'IT! Metis Gloves tone down the technical features from full race-spec to be more appropriate for the street. Its long gauntlet overlaps with your riding jacket to avoid any exposed skin. Goatskin leather resists abrasion while keeping your controls palpable. A TPU hard shell protects the knuckles and palm. 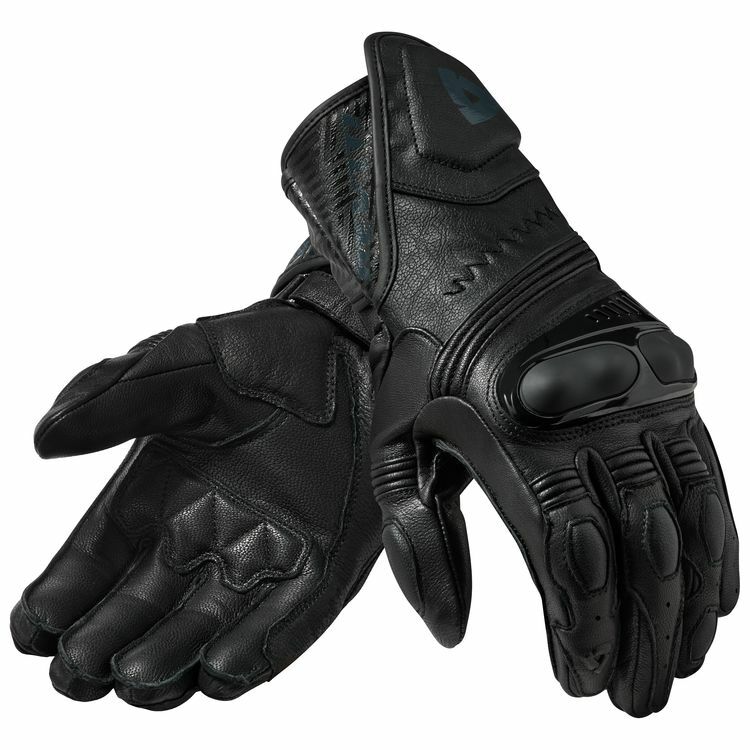 Malleable EVA foam along the fingers provide comfortable impact protection. The Rev'it Metis Gloves were inspired by MotoGP level gear so that every rider can benefit from its protection and style. I took a risk buying these without any reviews, but so far I am very happy. First, I have noticed a slight issue with fitment. I did the measurement of my hand circumference and got 8.5", which would have put me at a medium. That is impossible for me. I have freakishly long fingers, and so I went with the 2XL (that is the size that I've purchased from Icon in the past). The middle and ring fingers of my left hand touch the tips of the glove and are somewhat tight - they must be longer than my other fingers somehow. Everything else feels perfect though, so I am going to dunk those two glove fingers in warm water and wear them for an hour while I watch TV. I doubt that a size bigger would have been preferable. I would rather they be snug than too big anyway. As for riding with these: they are incredible. I've never had goatskin gloves, and the feel on the throttle and controls is heads and tails better than anything else I've used. It feels like I'm riding a different motorcycle. Other gloves have felt slippery when I turn the throttle or grab the clutch. These offer much more precise control. For this price point, I would have liked to see only a one motion closing feature, rather than two straps. So I took a point off for features. Still, the TPU on the palm feels bulletproof, assuming you had an off. The gauntlet is big and will strap over pretty much any jacket. I've had gauntlets that were a bit small so that was something I was looking for in this glove. As for looks, I got the white/blue gloves. They have just a little more pop and are more noticeable to cagers. I think if you have a white helmet and/or white boots, these look good.